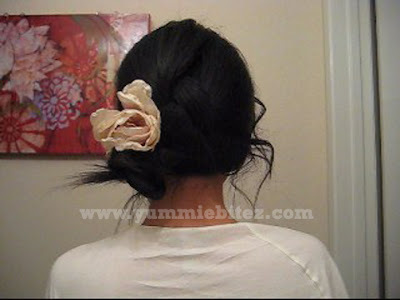 Since Valentine's day is coming, here's an easy hair up do you can do within minutes. Well, only if you already know how to french braid your own hair. But if not, then there's plenty of time to practice! Or you can also just grab your hair into a low pony tail and then braid. This look is just so feminine and cute, and did I mention it's easy? It's finally Friday! Been waiting for this weekend since well... Monday! Well, I have plenty of cleaning and organizing to catch up to. I swear the cleaning never ends once you move out to your own place. I'm going to try and squeeze in some time to just relax and unwind. Hopefully, we'll also be able to do dineLA tonight or Sunday. I've been wanting to go. I'll see if I can get a home decor post. I haven't been really decorating lately though, but I'll show you what I have done so far. So what are your plans for this weekend?? 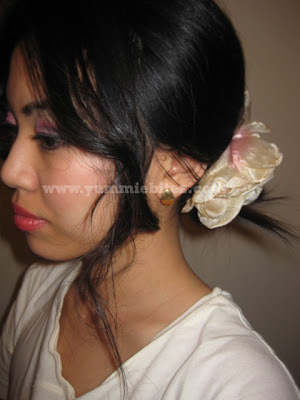 Wish I have half of you skill when it comes to doing hair~ Love the romantic look!